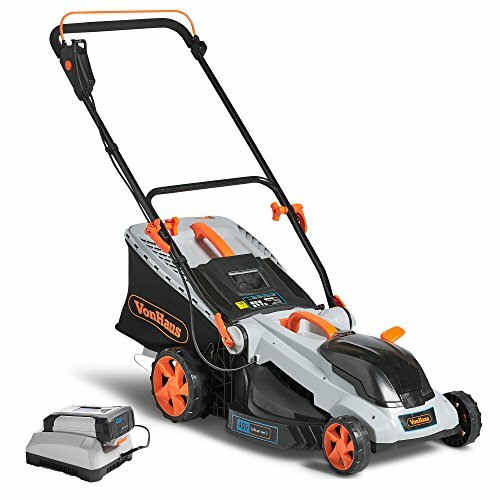 LIGHTWEIGHT, CORDLESS AND EASY TO OPERATE: Make garden maintenance simple with the VonHaus 40V Max. Cordless Lawnmower. 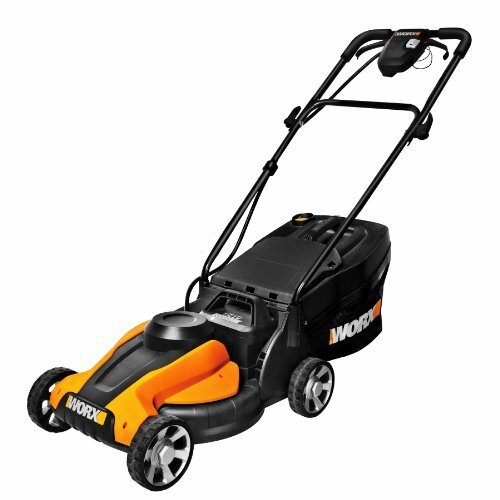 Includes folding handle for easy storage and brushless motor for reliability and long lasting. BRUSHLESS MOTOR: The brushless motor has fewer parts – for a more reliable, longer lasting performance. 6 ADJUSTABLE CUTTING HEIGHTS: Easy to use lever to select your preference between 1-3 inches. 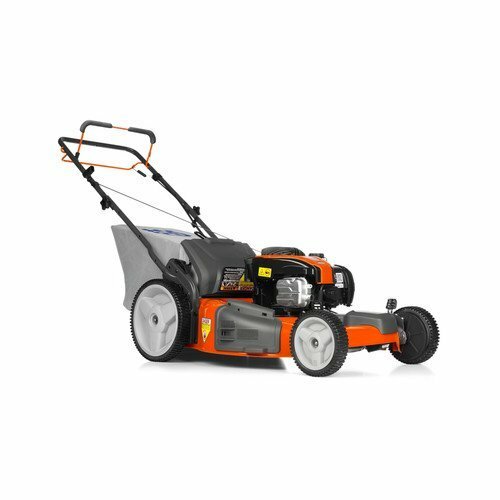 Contains 16″ blade cutting width with agile push or pull ability. 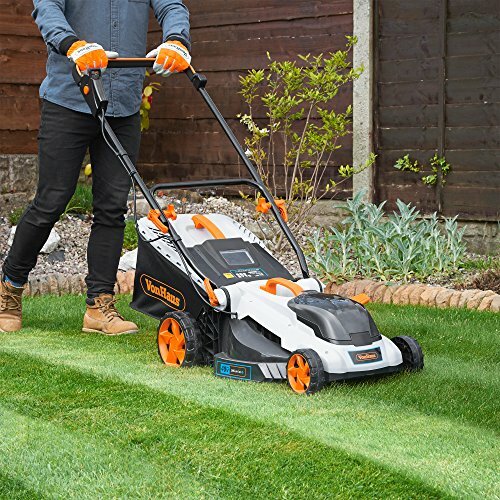 Simply navigate your garden without worrying about mowing over the power cord – this cordless lawnmower revolutionizes garden maintenance. 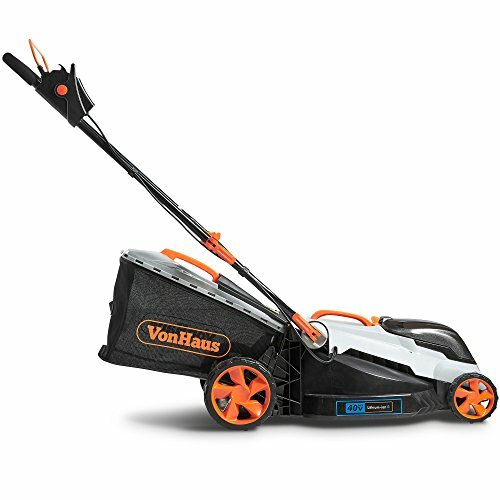 Thanks to its 40V Max Li-ion battery, this cordless lawnmower from VonHaus delivers up to 28 minutes (no load)operational power from a full 2.5 hour charge. Attach the collection box to store waste cuttings and dispose or recycle them easily. 50L capacity minimises the need to frequently empty the collection box, so you can focus on the task at hand without frequently stopping. 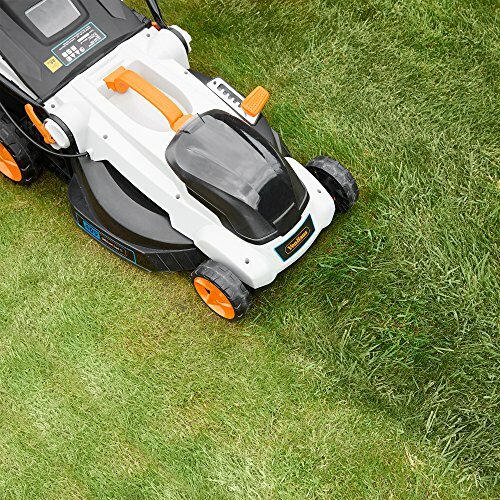 A simple lever on the side of the mower allows you to raise and lower the cutting height to suit your lawn. 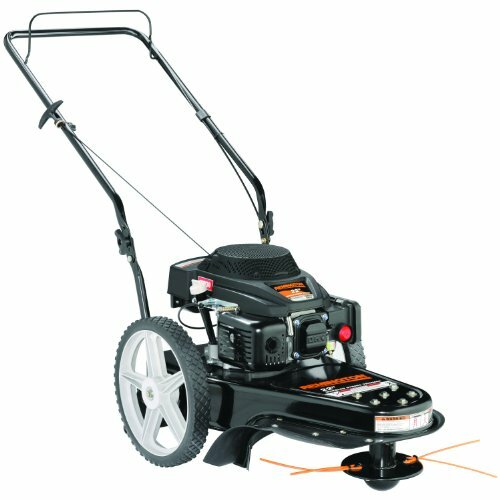 A 16″ cutting width covers a wide area with a single push or pull, designed to speed up the entire project. With a starter key, two-stage safety start, and safety lock-off button you’ll always be in complete control of your garden machinery. 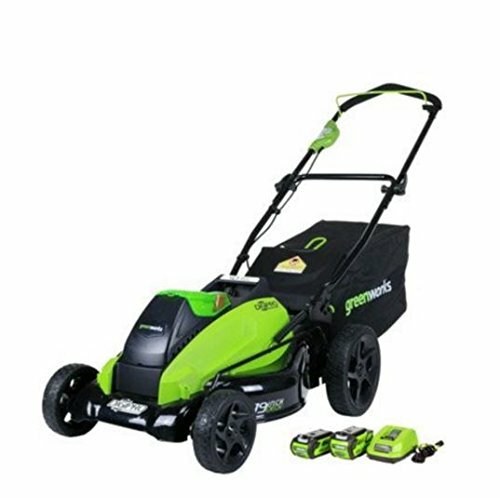 At 33lbs the lawnmower is very agile when pushed or pulled across any grassed area. The brushless motor has fewer parts – for a more reliable, longer lasting product. Folding handle and removable grass collection box for practical storage. 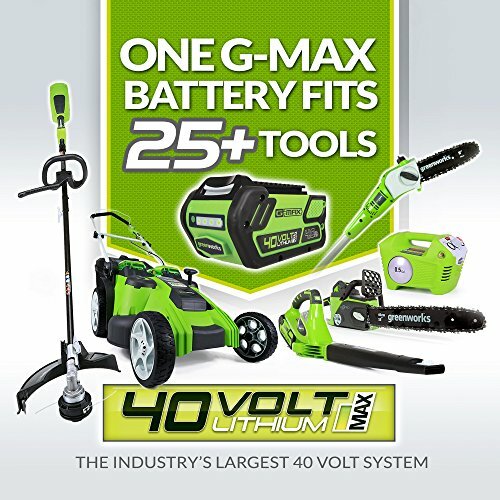 Part of the VonHaus 40V Max Lithium-ion G Range – the battery is compatible with all other products in the range. Please note: No load running time refers to total power discharge with no mechanical load. The run time will vary depending on the load required. 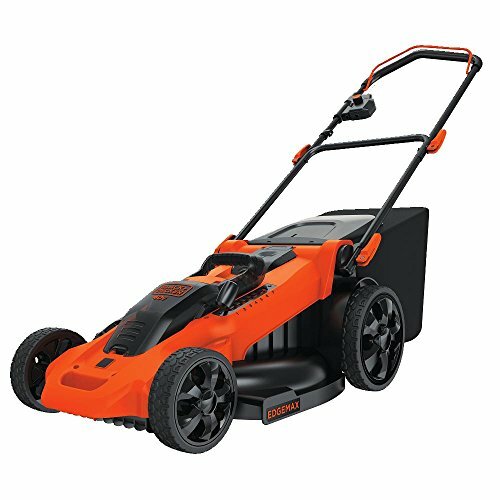 4AH LITHIUM-ION BATTERY: The lawn mower includes a battery and charger. Replacement batteries will be available Summer 2018.